The tiki torches are lit and the food is ready. The Tropical Hideaway is now open at Disneyland park! 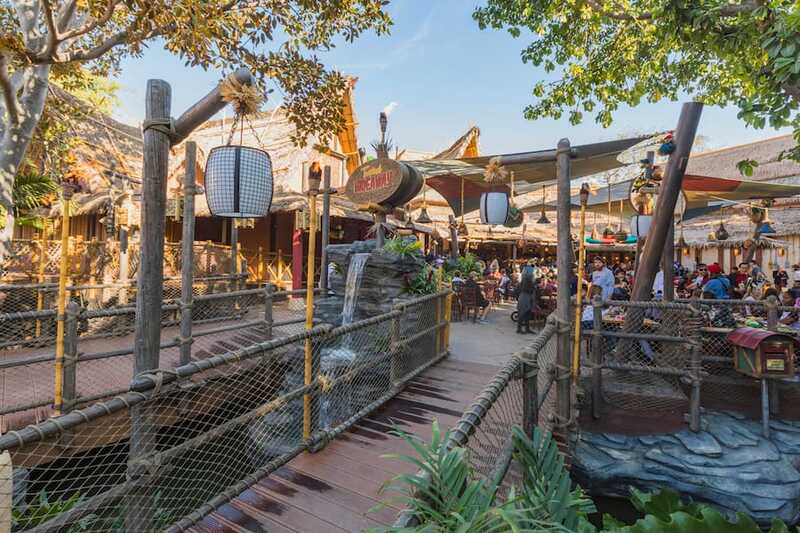 This new marketplace is nestled between the Jungle Cruise and Walt Disney’s Enchanted Tiki Room and offers unique eats along the tropical shores of Adventureland. 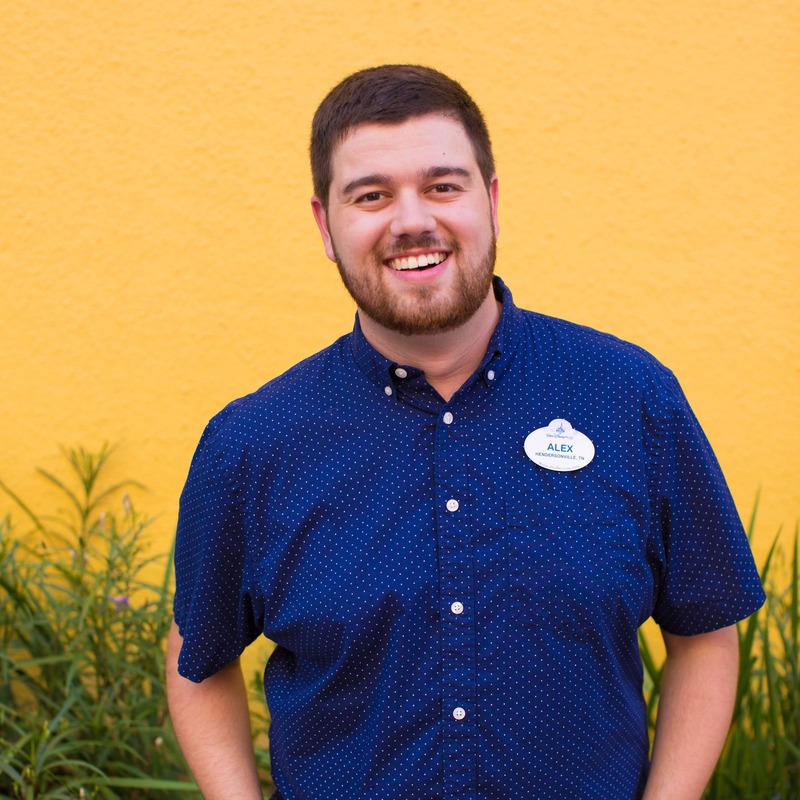 We met up with Michael Dobrzycki, an art director with Walt Disney Imagineering, who gave us an inside look at some of the details of the space and also introduced us to the one and only Rosita! The marketplace features an open-air dock where patrons can sit back and relax on the Jungle River waterfront while enjoying sweet and savory bites. As the sun goes down, flickering torch lights illuminate the area making for an enchanting nighttime setting. Rosita is also hanging out with the visitors, awaiting a Jungle Navigation Co. Ltd. boat (which is running uncharacteristically late) to take her on a journey towards a solo career. She spends her time telling jokes and reminiscing about the hideaway from way back when. When you walk into The Tropical Hideaway, you’ll be greeted by local merchants peddling their goods. 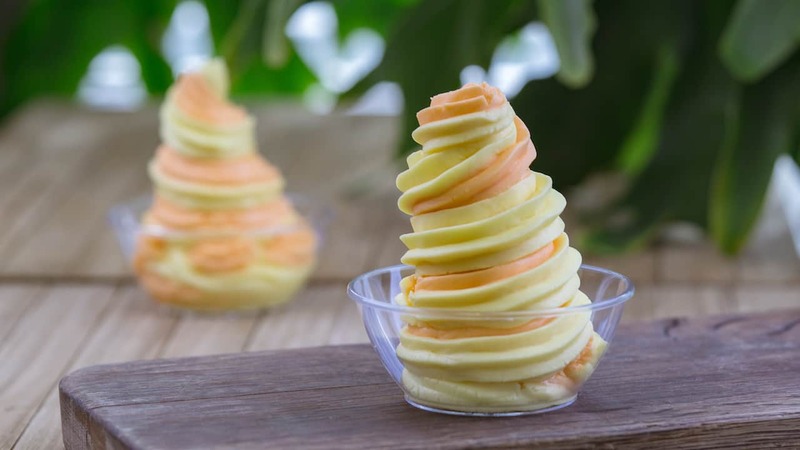 Over at the fruit whip counter, you’ll see a few new Dole Whip flavors, including orange and raspberry, as well as the classic pineapple flavor. These can be ordered in a cup or as a float. Swirl options are also available – pineapple and orange swirl or pineapple and raspberry swirl). An old boiler heats up warm hand-held food at the next booth over. Stop by this vendor and you can take a bit out of a delicious bao. 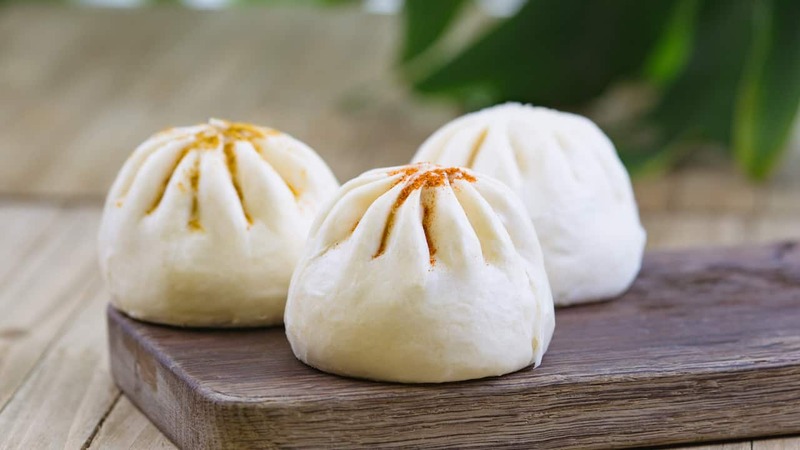 The Spiced Vegetable Bao is filled with chickpeas and braised vegetables, while the Bulgogi Beef Bao is filled with sweet chilies and potatoes. 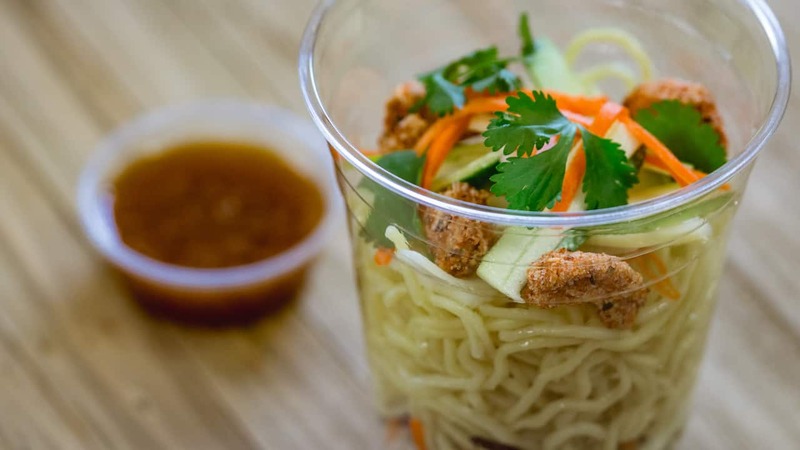 And you definitely won’t want to miss the Sweet Lumpia or the Chilled Ramen Shaker with fresh vegetables, ramen noodles, togarashi cashews, and Asian vinaigrette dressing, YUM. Other grab and go options include baked potato chips, salt and vinegar potato chips, onion chips, organic chickpea puffs, and plantain chips. A variety of cold beverages will also be available with options including soft drinks, coconut water, tea, and even mango orange juice! 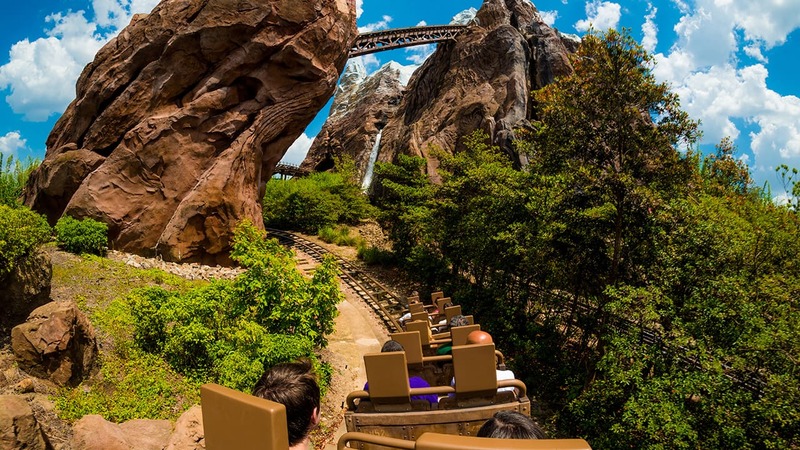 The Tropical Hideaway is now open, so come on out and see it for yourself! To see more photos of this exciting new marketplace, check out our first look story from last week. For more information, as well as the full menu, visit the Disneyland Resort website. i love the grab and go options. such a great idea in the parks. i’m especially looking forward to trying the chilled ramen shaker. Please bring the orange juice swirl from dianeynworld to this location! Will mobile ordering be available at this location? um, yes, I would like to place an order for delivery of the Sweet Lumpia please….